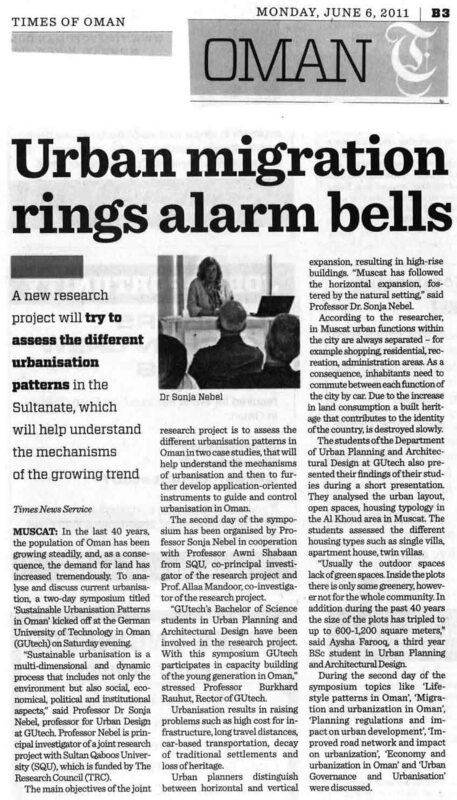 Urban Oman – Trends and Perspectives of Urbanisation in Muscat Capital Area edited by Dr. Sonja Nebel and Aurel von Richthofen will be launched at 17:00 on Friday 16. December 2016 at Habitat Unit, TU Berlin, Germany. Moderation Prof. Dr. Philipp Misselwitz. Richthofen, Aurel von, Veronika Deffner, and Zahra Babar. 2016. “Conference Organization: Arab Gulf Cities in Transition: Space, Politics and Society.” In . Gulf Research Centre. Nebel, Sonja, and Aurel von Richthofen. 2014. “Conference Organization: Challenges of Urbanization in Arab Gulf Countries.” GUtech, Oman. 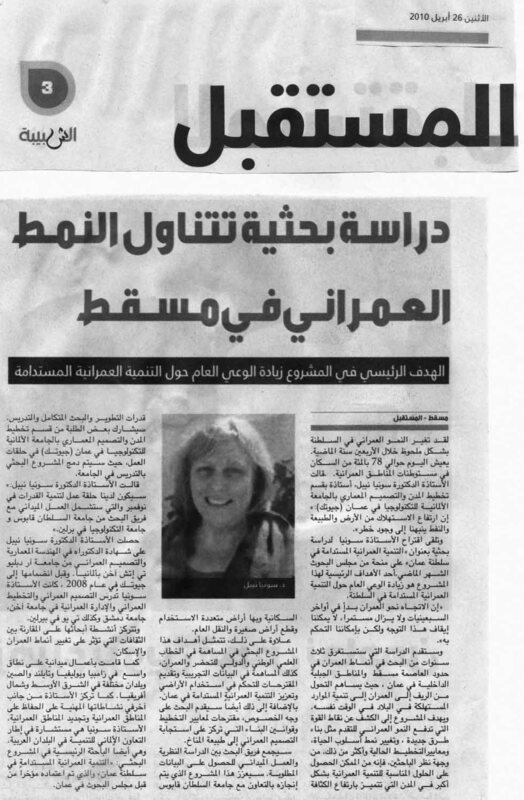 Coverage of the research project in the local media. March 2013. 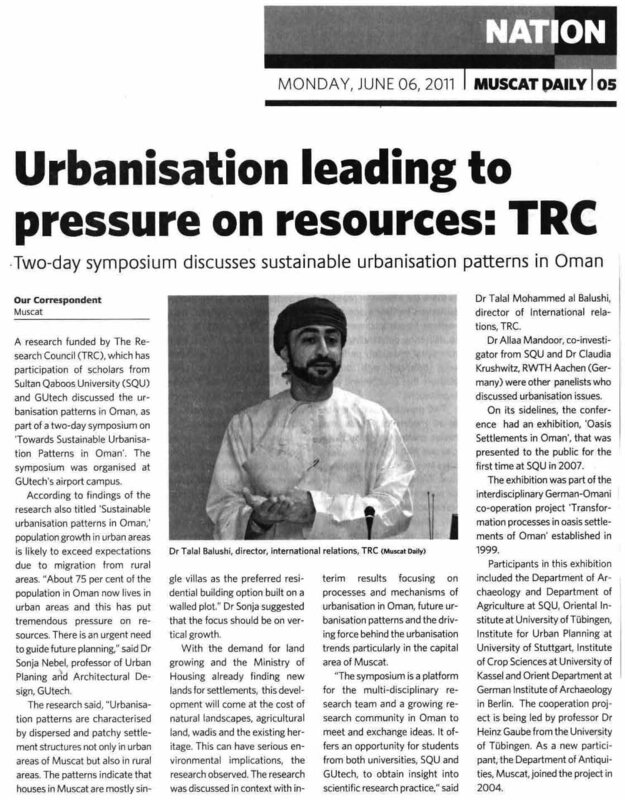 Times of Oman: Gutech to hold symposium on urbanization in Oman. September 2011. 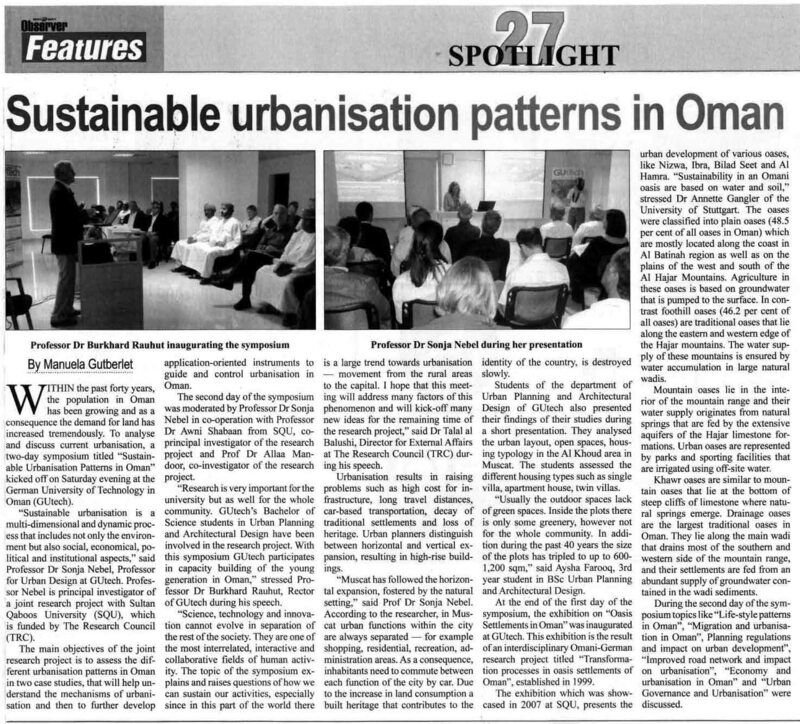 Muscat Daily: Urbanisation meet stresses on energy conservation. 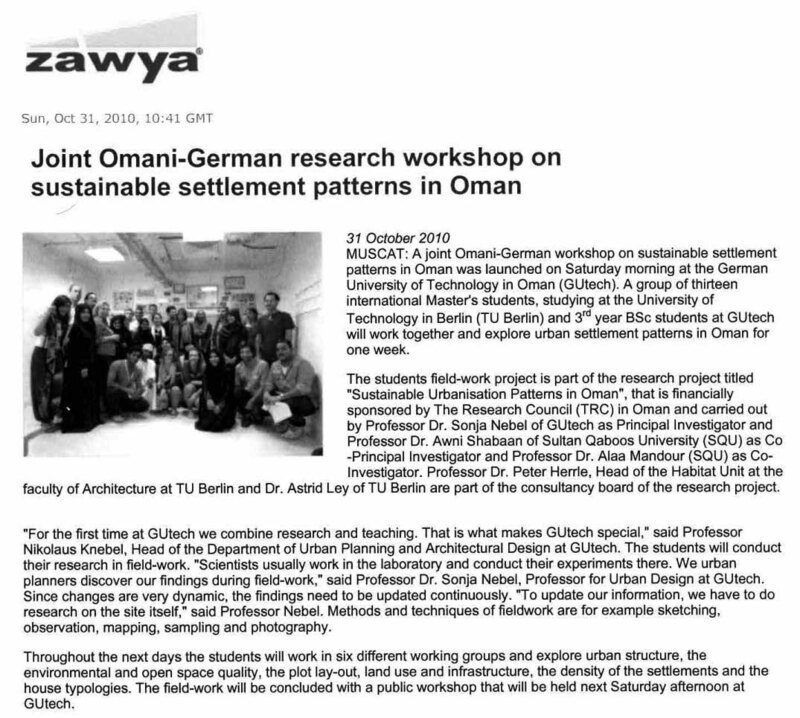 The short documentaries appeared in Oman TV in 2013 and 2014 as part of the German-Arab series SciTech: The TV magazine for science, technology and the environment. Please select the CC button for English subtitles.